Raised Beds or Growing in the Ground? Late winter/early spring is a good time to get prepared for the new growing season. It is an ideal time to get your beds and borders ready for planting. 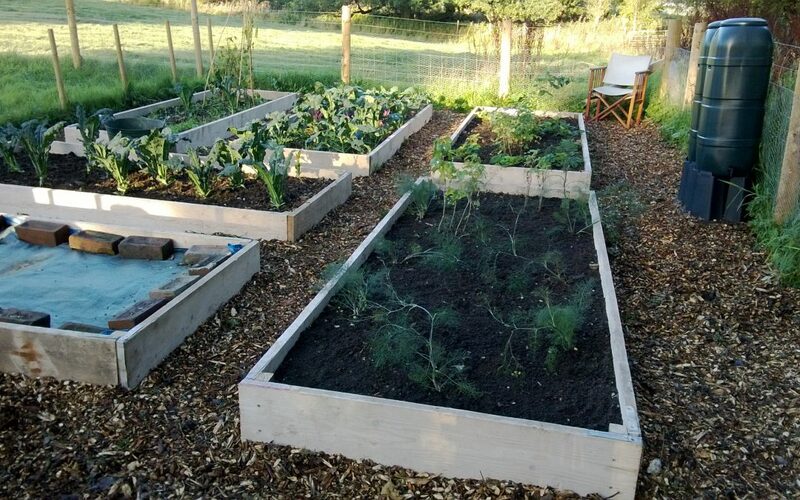 Raised beds are becoming increasingly popular with gardeners as they are easier to maintain than ground beds and are easy to build. The only disadvantage is the cost, if you are building sides to your beds. But you can use recycled scaffolding planks or decking to reduce the expense. Good quality wood ensures that your beds will last for years. Alternatively, you could have no sides and just pile up your organic matter (compost and/or manure) on top of the ground and create paths out of thick cardboard around them. Not so pretty, but just as good for growing in. Depth: A minimum of 6 inches (15cm) but you can make them higher to reduce the amount of bending you have to do. Width: A maximum of 4 foot (1.2m) or you will need to stand on the soil to reach across and so you’ll lose the benefit of no digging. Paths: Leave at least 1 ½ feet (50cm) between and around beds so you can access them. Make sure you buy good quality soil and rotten manure or compost from reliable suppliers – don’t cut corners. Try a mix of 50:50 soil and manure or compost. Allow this to settle in the beds over a couple of weeks before you start planting. But while you are waiting you could add chicken manure pellets, which will break down over a couple of weeks and improve the fertility of your beds. Do not be tempted to ‘line’ the bottom of your beds with plastic or membrane – this will impede the drainage and you will lose one of the advantages of raising your beds. Do not stand on your bed – this will reduce the air pockets and compact the soil. Do not dig up the turf if you are putting beds onto of your lawn – just cut the grass short and place your beds on top. Do top up your beds with 2-3 inches (5 – 10cm) of organic matter – manure or compost – every winter/early spring. This does not need to be dug in, just spread it out on top. Do put your beds in a sunny spot – most vegetables grow better in the sun. Do keep on top of any weeds and remove them before they set seed and spread.